All eyes may be on Lincoln Property Co.’s downtown Austin high rise that will usher in the next wave of Class A office space at Fifth and Colorado Streets early next year, but the company isn’t resting on the status quo. Lantana Ridge, the company’s next endeavor at 7601 Southwest Parkway, is poised to rise soon. It will offer 175,000 square feet of office space in two three-story buildings — about 29,000 square feet per floor. Click on the photo with this article to tour the offices as envisioned by day and night. 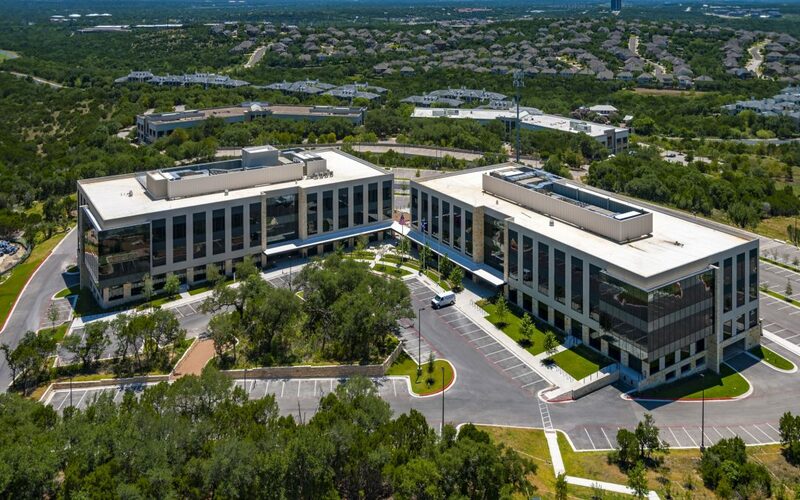 The site is on picturesque land near the former AMD corporate campus where SolarWinds Inc. (NYSE: SWI) has its swanky headquarters. Several years ago Lincoln Property purchased 158 acres from Stratus Properties (Nasdaq: STRS), which has had major land holdings in the area for years. The pending office project sits on about 21 acres and includes 327 covered parking spots. The key, Johnston said, is the ability to deliver large floor-plated office space in quick turnaround fashion. Lantana Ridge is a bit west of the new Encino Trace project, which Brandywine Realty Trust just built. Johnston said he believes that project is about 65 percent leased. Johnston noted that Encino Trace has covered parking, but Lantana Ridge will be built as podium parking for quicker access to the building.